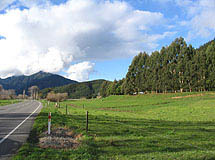 Forest management in Marlborough is influenced by many, natural and built, environmental influences. The climate of the district influences where forests are located, the potential risks such as fire and wind-throw as well as the growth performance. The regulatory environment is provided by the Marlborough District Council which prepares plans that set out policies and rules for sustainable management of the natural and physical resources under the umbrella of the Resource Management Act. Codes of practice, handbooks, guidelines, and environmental management systems are all important tools for forest management. The Marlborough Forest Industry Association encourages their use, to provide a safe and environmentally aware industry. This section of the web site provides some information on the environment we work in.